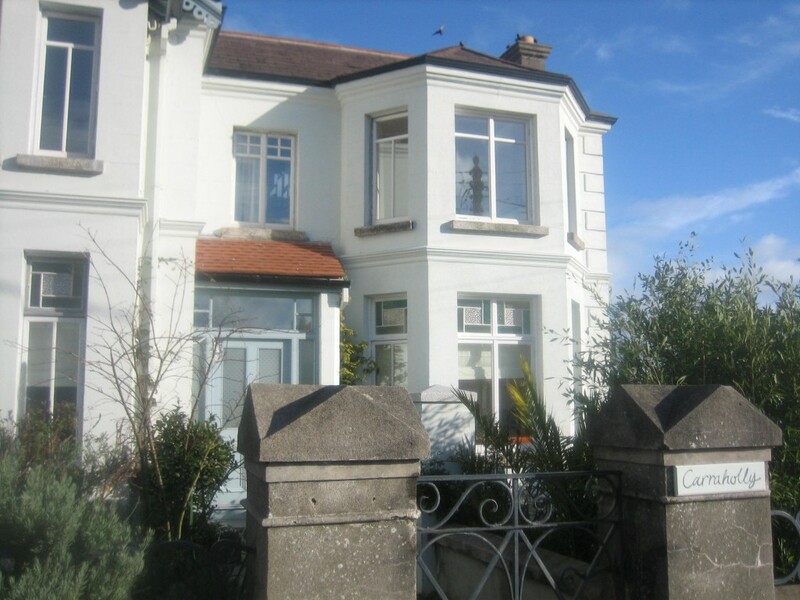 This 1910 house is situated at the end of a road of Edwardian semi-detached houses by the South Beach at Greystones. 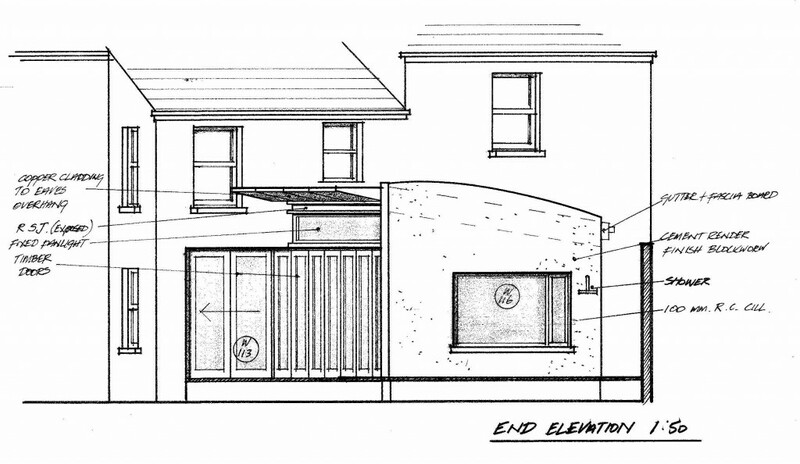 It had a south-facing gable-end with no windows whatsoever, despite the potential for great views down the coast to Wicklow and the significant passive solar gain afforded by a southerly orientation. The building had lain vacant for some time, and years of neglect had taken its toll. Consequently it needed thorough refurbishment, and the construction of a new extension to provide additional family living space. 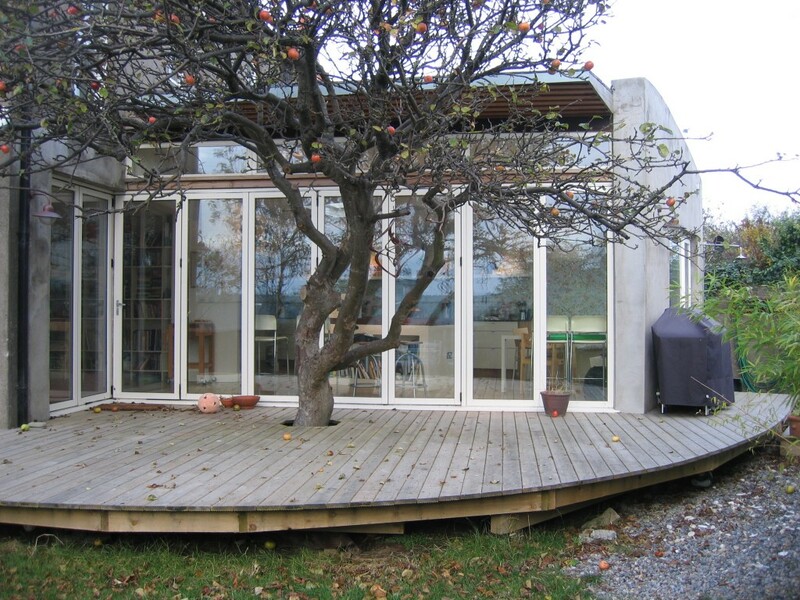 The building fabric of the house was stripped back to bare walls and roof structure, and rebuilt with insulated dry-lining and high-performance insulation to bring it to modern thermal performance standards. 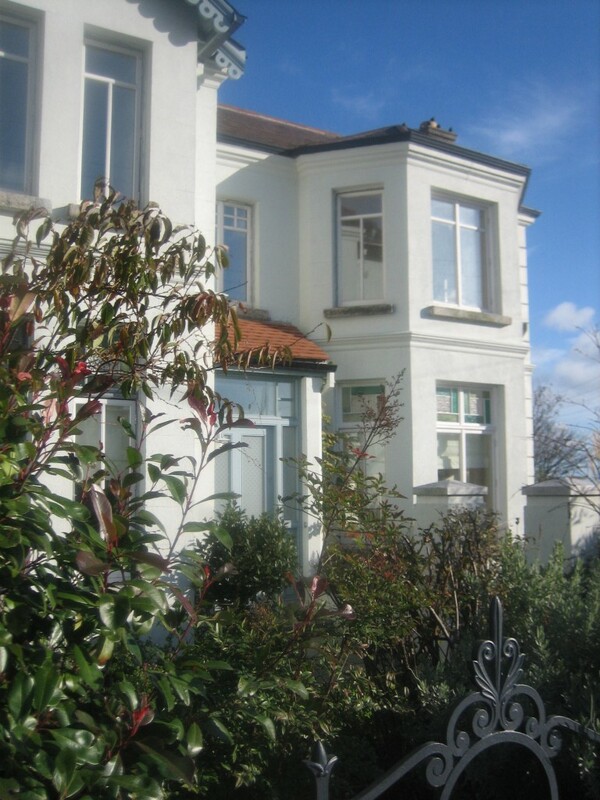 New hardwood double-glazed casement windows were specially made to fit the existing frames, which were restored. This allowed all the original interior timber window surrounds to be kept. 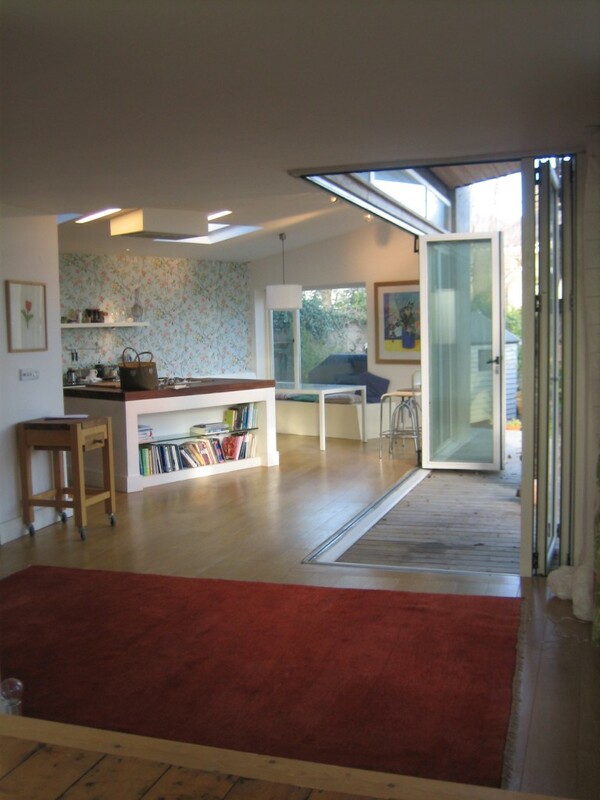 For the extension, the old rear wall was removed at ground floor level to connect with the new south-facing kitchen addition, which was built around a mature apple tree providing shade and dappled light in summer. 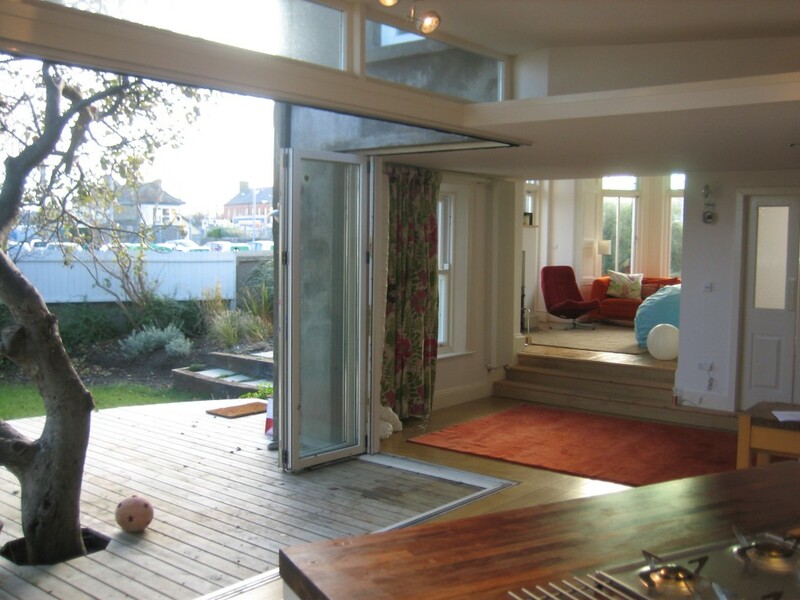 Folding sliding glazed doors provide ‘corner-less’ access to the south-facing deck, while allowing deep penetration of warm sunshine into the heart of the house. The old kitchen, which was to the northern part of the house, was converted to form a utility ‘hub’, with a pantry, laundry, wet-room, storage loft and a ‘lazy-susan’ clothes-drying area. 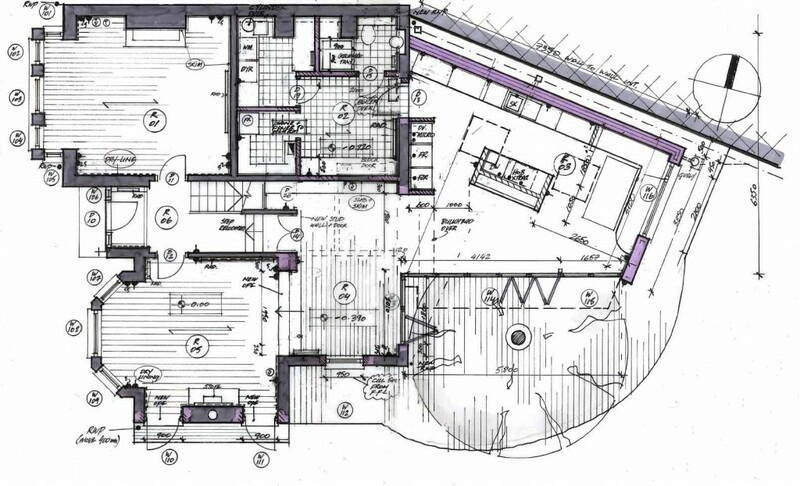 Informal living spaces flow from front to rear, tracking path of the sun from morning evening. 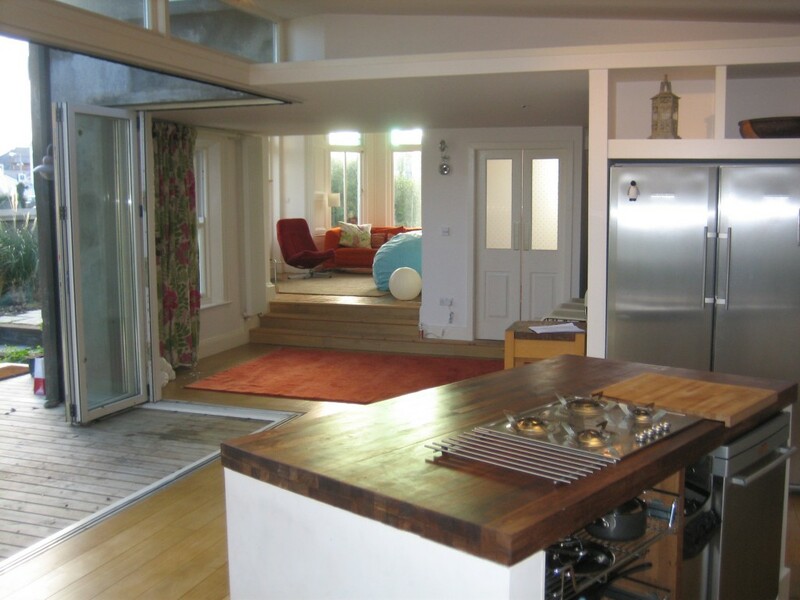 The open-plan arrangement of these spaces maximises the benefit of a centrally-located wood-burning stove in winter months. 6 new window openings to the original gable-end provide additional solar gain and natural light.